Getting into softwashing? Want to get rid of those mold and mildew stains? Use ProTool Stick & Sticky to help your cleaning solution to cling to the surface! Use this on roofs, siding, fences, decks and much more! 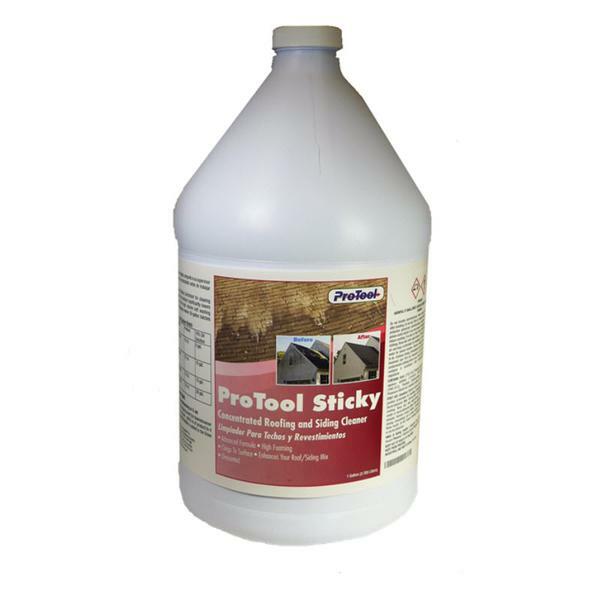 ProTool Sticky is used with 12.5% sodium hypochlorite (SH) and water to allow a better spreading of the solution and a longer dwell time. Since this product is super concentrated, it reduces shipping costs by 75%, Store more on the vehicle in less space. 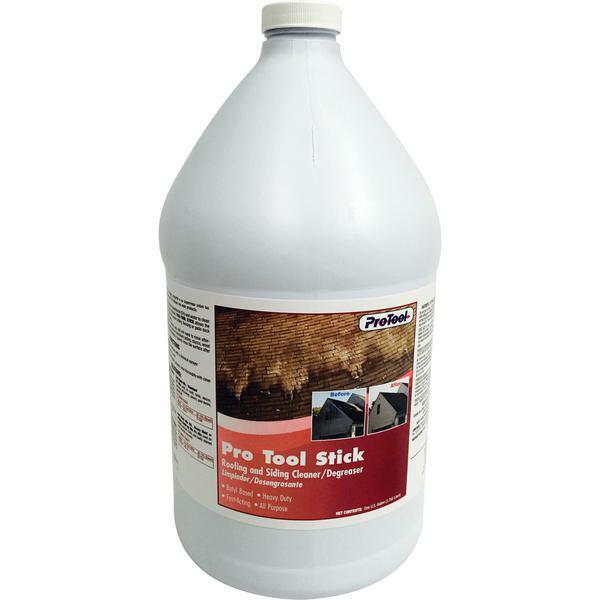 ProTool Stick is used with 12.5% sodium hypochlorite (SH) and water to clean mold, dirt and mildew stains from surfaces. ProTool Stick allows the cleaning solution to dwell on the roof, house siding, fencing or patio deck to effect a quick and powerful clean. 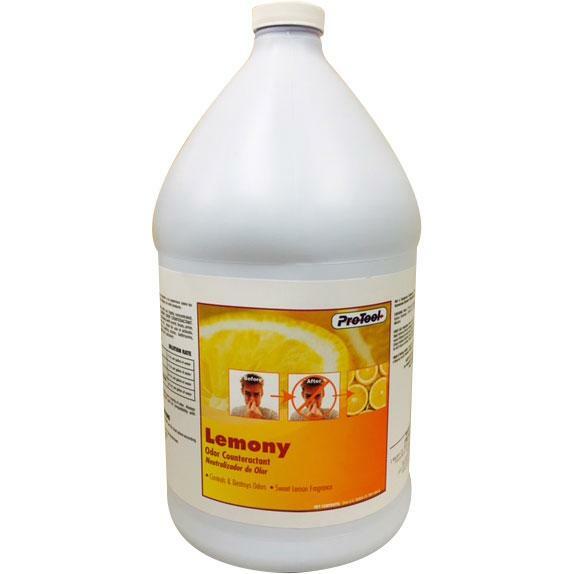 Lemony is used as a scent masker for SH & Water Mix. Mask the scent of your SH and water batch with this economical formula.